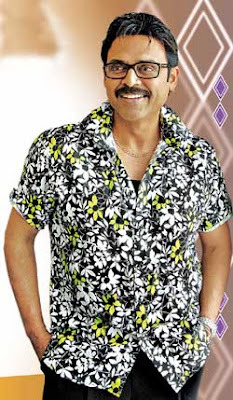 Daggubati Venkatesh was born to prolific film producer and former MP, Dr. Ramanaidu Daggubati and Rajeshwari in Chennai. He has an elder brother Suresh Babu Daggubati who runs Suresh Productions, and a younger sister, Lakshmi. Venkatesh did his schooling in Don Bosco, Egmore, Chennai. He graduated with a Bachelors in Commerce from Loyola College in Chennai and got his MBA from the Monterey Institute of International Studies, USA. 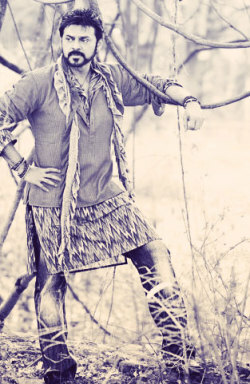 After his return to India, he wanted to get into film production but instead, became an actor in Telugu films. Nandi award. ‘Bobbili Raja’ with the delightful Divyabharathi, was a big comedy and a musical hit. Venkatesh has also worked with Bollywood director Ram Gopal Varma in the film ‘Kshana Kshanam‘. In 1991, ‘Chanti‘, a family drama, was a box office hit that got him a huge fan following among women in both Telugu and Hindi films. His brother D Suresh Babu, a very successful producer, has produced most of his hit films. Venkateshfather, D Rama Naidu and his brother D. Suresh Babu successfully runs one of the most prestigious banners in Telugu Cinema, Suresh Productions. He is married to Neeraja and has a son, Arjun Ramnath, and three daughters, Aashritha, Hayavahini and Bhavana.Venkatesh debuted through Kaliyuga Pandavulu in 1986. Just two years old as an actor, Venkatesh acted in Swarnakamalam directed by Kasinadhuni Viswanath. Varasudochadu, released in the same year, was another trophy. After a few flops, he got a break in the form of Bobbili Raja. Added to that the name and performance of Venkatesh was delightful Divya Bharati, good comedy and melodious music. Bobbili Raja was a musical hit and also entertained audience from all sections because of its ingredients. In Shathruvu, Venkatesh played angry young lawyer who takes law into his hands after failing to fight the corruption through the court. Venkatesh has also worked with famed Bollywood director Ram Gopal Varma in the film Kshana Kshanam, which was a huge success at the box office. Chanti, a remake of Tamil movie Chinna Thambi, happened in 1991. Chanti was definitely a challenging project for Venkatesh. Chanti was a box office hit and Venkatesh's career benefitted hugely by it. Anari was the remake of Chanti in Bollywood's Hindi cinema. Venkatesh started becoming a family hero and turned out a huge fan following among women. 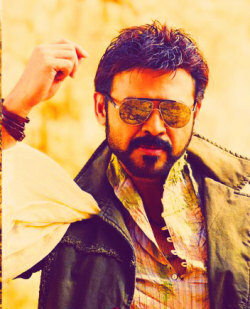 Venkatesh has acted in a lot of blockbusters. His recent films, Adavari Matalaku Ardhalu Verule was a big hit but the next movies like Tulasi and Chintakayala Ravi are not up to the mark and listed as Flops in his career. He is very aggressive in the work. Also he is known to be very down to earth and spiritual person. And also he is one of the best comedy heroes of the telugu film industry at the same time he acted in many serious roles and action movies like Gharshana, Lakshmi etc. He also has many lady fans because of his many romantic and family entertainer films. If you know any interesting issue or information about the actress or actor. please give detail information in the comment area. If that is really good, we will add it to original blog post..